Chevrolet Trailblazer 2012 made its debut at the Dubai International Motor Show. Model is adorned with comfort of crossover delivering SUV’s towing capabilities. 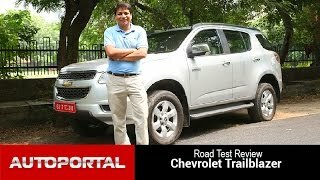 Though the design of Chevrolet Trailblazer at first glance will remind you of Chevrolet Colorado 2012 but you’ll notice some differences under the hood. Let us see what all it brings with it for its buyers. The Interior of Chevrolet Trailblazer holds dual cockpit design. It provides comfortable seating for seven people with all seven seats divided in three rows (2+3+2). The last row of seats offers you folding feature, giving you more space for luggage in case the passengers are less and the last row is empty in terms of passengers. We must say it is spacious in comparison to any other SUV in its class. The Chevy (Chevrolet) SUV is a true portray of boldness, for seats light colored leather has been used while the mat dark wood trim accented with chrome and dual grained surfaces will give you premium feeling the interior. Dashboard is both decent with its dual color formation while the steering and instrument cluster give a little sporty look to it. There is a minute storage house in between the front two seats for smaller stuffs and a large dual glovebox has also been added. 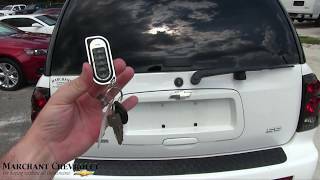 In the Exterior design of Chevrolet Trailblazer 2012 you might find similarities in design. The first thing you’ll notice are the dual projector LED headlamps adding powerful look to the exterior of Trailblazer 2012 with its signature lighting. To add more class and boldness joins the dual-port grille and the three-dimensional grille mesh. Apart from these basics in front fascia your eyes might feel held by the polished aluminum décor trims, belt line, tailgate and roof rack, rockers accompanying well the LED front and rear fog lamps. 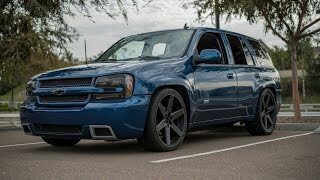 We while listing these do not deny the similarities but here is something new, appealing and adding the essence of street ruler to the Trailblazer 2012 and that’s the new set of custom dual-finish 20” aluminum wheels, impeccably dragging the attention all wrapped in Cooper Zeon LTZ tires. 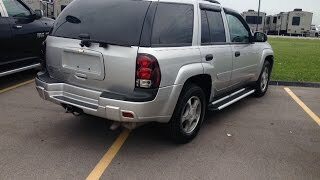 The Chevrolet Trailblazer 2012 uses the all-wheel drive mechanism with the 2.8 liter Duramax turbo-diesel engine delivering the enthralling power of 177 hp and 470 Nm Torque. The engine so fitted also features variable-geometry turbocharger; this means the vehicle in combined way will deliver performance and fuel economy with a sound control over lowering the CO2 emissions. Company has also introduced a second variant of 2.5 liter diesel engine producing around 150 hp. 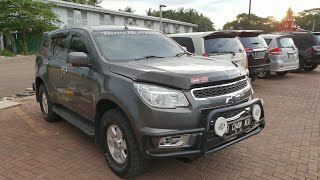 Apart from these not much has been disclosed about the vehicle and this ‘not-sharing’ thing also includes the price of Chevrolet Trailblazer 2012. Although looking at its specs it is anticipated that the production model upon hitting the market might have to compete with Ford Explorer and the Dodge Durango.